Redbooth earns best new product in cloud platform and collaboration software categories. The need for businesses to collaborate in today’s always-connected world is greater than ever. And, to meet that need, a good number of tactical players have popped up, each offering some form of communication — including some that have raised $50 million in funding. In fact, so many competitors have popped up many consider the space to be overcrowded. That’s why rising to the top against the backdrop of all this competitive noise matters — it’s just dramatically more meaningful. Oh, and it happened not only once, but twice, as conferred on us by the world’s premier business awards competition. Redbooth just earned both silver and gold awards — real trophies for real results — in the Stevie Award’s 2014 11th Annual International Business Award (IBA). 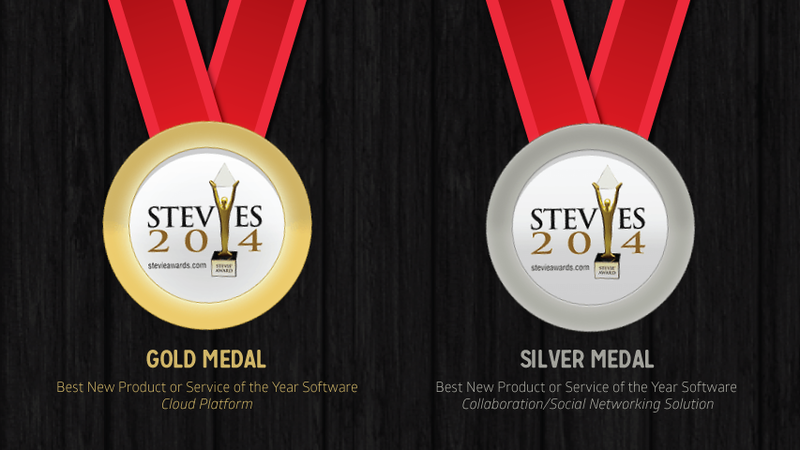 Redbooth’s gold and silver, respectively, were earned in the best new product in the “cloud platform” and “collaboration software” categories. We were granted these impressive designations by voting from some 250 global executives judging 3,500 companies across 60 countries. You don’t just get Stevie Awards for “showing up.” Redbooth was set apart from the crowd since we enable real people to solve real business problems for some of the most marquee names on the planet, as well as for many smaller businesses. The Redbooth platform is just that flexible — or should I state the “award-winning-Redbooth-platform” is just that flexible? These designations won’t make elegant, tableside rhetoric for your next dinner party, nor an article in the New York Times, nor even the lead story on your favorite nightly newscast. But it’s nice — every now and again — to be recognized for all the hard work our employees do and all the great feedback customers give us, enabling Redbooth to constantly, strategically improve our platform. Redbooth exists because great companies and great employees deserve great places for their teams to collaborate and just simply get work done — anywhere they work, anywhere they are. On any device. Any time. It’s telling that the word “Stevies” comes from the Greek word for “crowned.” This recognition wasn’t awarded for just showing up. It was earned. And, we’ll continue to earn your trust every day. It’s now time to expand and improve upon what won us this award in the first place. Thanks to the Stevie Award’s 2014 11th Annual International Business Award for this honor.